From our kitchen to yours, we are pleased to feature this tasty recipe shared via foodess.com for you to try with our organic Fenugreek Ground. We were delighted to discover and recommend this version of the popular Marinated Lamb Popsicles, the famous and signature dish of Vij’s restaurant in Vancouver. 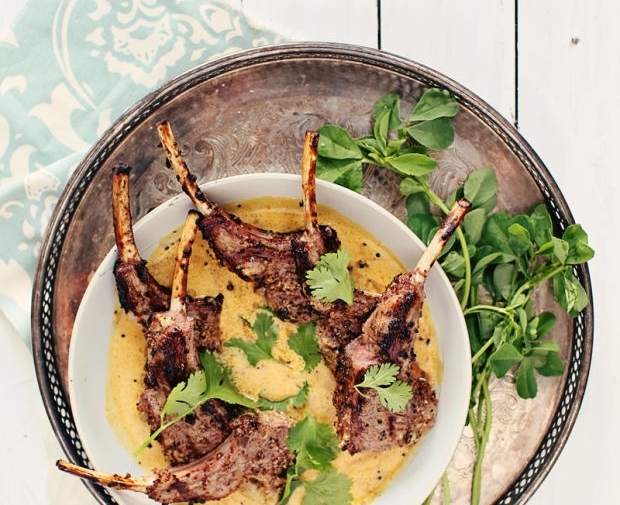 The recipe – Lamb Chops In Fenugreek Cream Curry – is adapted by fellow Canadian, Jenn from Foodess. The recipe incorporates ground fenugreek, paprika, cayenne pepper, and turmeric…the amazing spices that we recently featured this month. Try them all here in this ultra delectable dish. Click on image for Jenn’s recipe! From our kitchen to yours, we are pleased to feature this tasty recipe shared via cookrepublic.com for you to try with our organic Fenugreek Ground. Popular as a spice and herb, fenugreek is highly regarded for its nutritional and medicinal properties. When combined with other spices in food, it adds a unique yet subtle bitter-sweetness and spiciness. 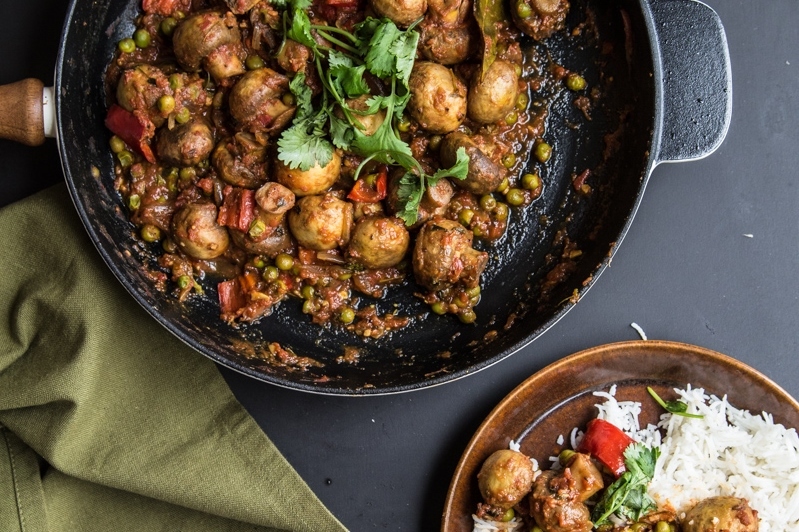 We’re pleased to recommend this oh-so-delicious mushroom masala recipe that uses fenugreek, from Sneh, author of the Cook Republic blog and the book, Tasty Express. Click on image for Sneh’s recipe! Here’s why you should use fenugreek seeds or leaves as part of your daily diet! 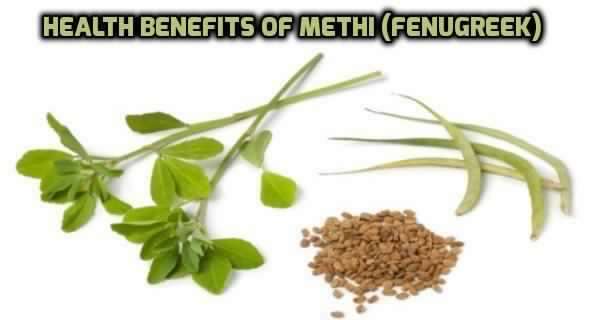 Nutritional Benefits: Fenugreek is low in Sodium, and very low in Cholesterol. It is a good source of Protein, Magnesium, Copper, and Manganese, and a very good source of Dietary Fiber and Iron. 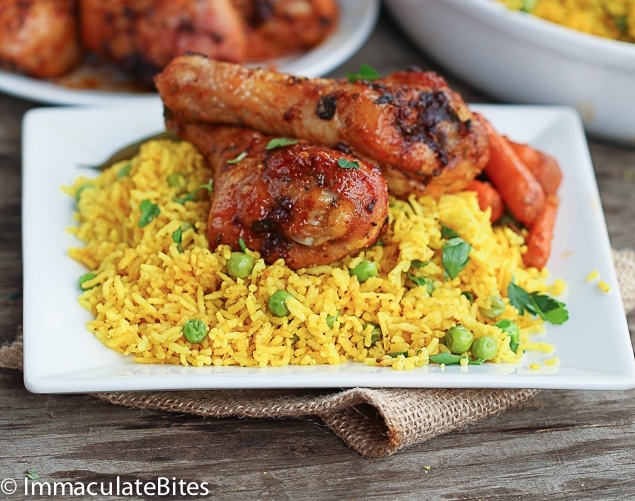 From our kitchen to yours, we are pleased to feature this tasty recipe shared via africanbites.com for you to try with our organic Paprika Smoked. 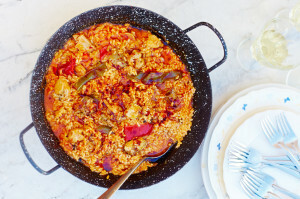 Bring a bit of the Africa into your home with this exotic recipe by Imma of the Immaculate Bites blog. The Baked Garlic Paprika Chicken Legs includes smoked paprika for some smoky-nutty richness and cayenne pepper to spice things up further. Click on image for the recipe! The dish is accompanied with either a fragrant Indian or South African Yellow Rice that includes a range of great spices, such as smoked paprika, turmeric powder, cayenne Pepper, powder ginger or curry powder. From our kitchen to yours, we are pleased to feature this tasty recipe shared via savingdessert.com for you to try with our organic Paprika Smoked. This soup may just be what you need if the chill of winter is getting to you. 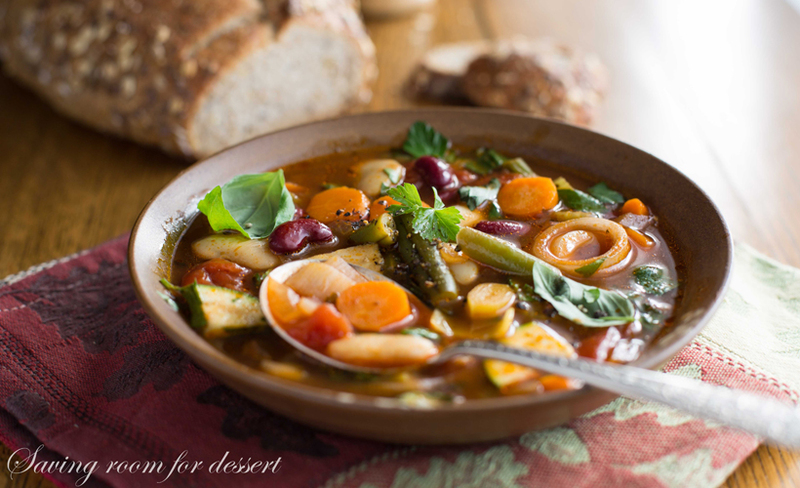 Simple to make and super satisfying, the Chunky Vegetable Soup With Smoked Paprika from Tricia of the Saving Room for Dessert blog is loaded with vegetable goodness and paprika smoked to taste. Click on image for the recipe! Smoked Paprika – Did You Know? Jamie Oliver gives us a Guide to Smoked Paprika with everything on the background of smoked paprika to how to use it. 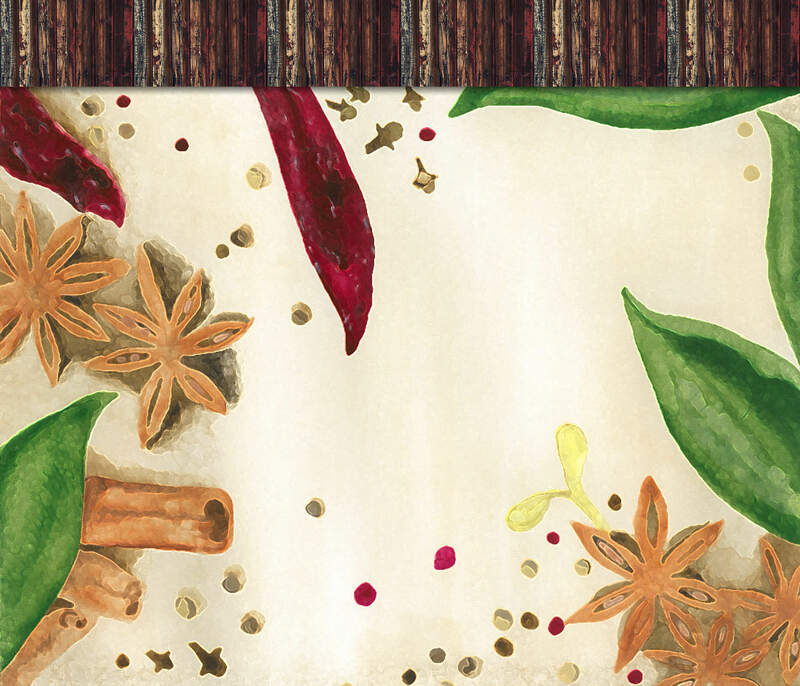 Paprika is one of our all-time favourite spices. 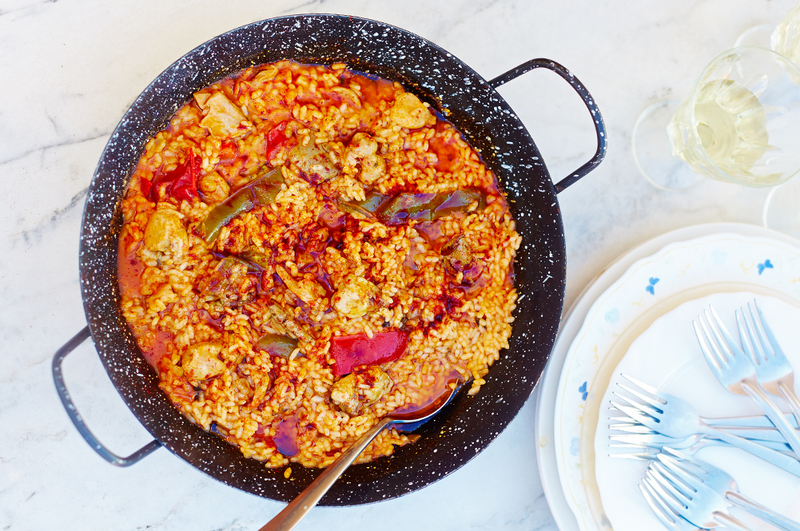 It brings unique smokiness and spice all sorts of dishes, from comforting stews to punchy marinades. To really get the best from this ruby-hued ingredient, though, it’s important to understand the distinctive characteristics of each variety. From our kitchen to yours, we are pleased to feature this tasty recipe shared via veganfamilyrecipes.com for you to try with our organic Cayenne Pepper. 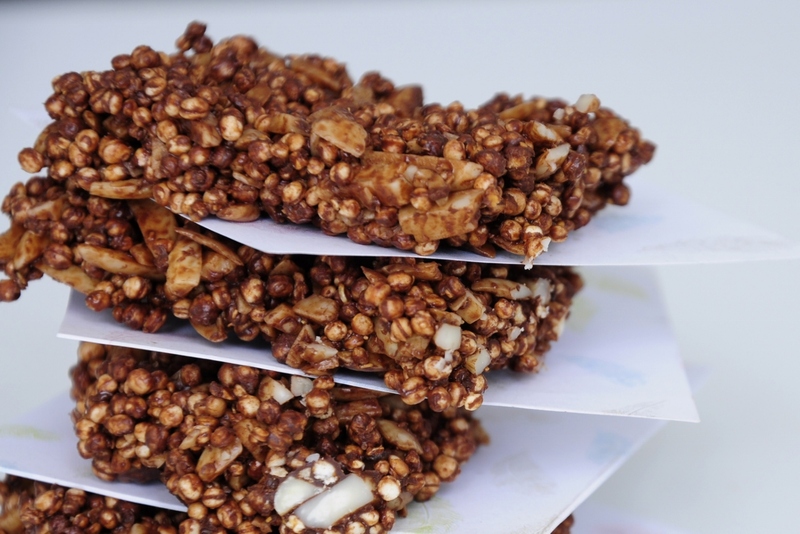 Reach for these Chocolate Puffed Quinoa Bars when you crave a healthy and spicy snack! The easy recipe combines puffed quinoa, coconut oil, almonds, vegan chocolate chips and includes Cayenne Pepper for a tad of heat! This stress-free recipe is our recommendation from Vanessa of the Vegan Family Recipes blog. Snack On! Click on image for the recipe! From our kitchen to yours, we are pleased to feature this tasty recipe shared via cookieandkate.com for you to try with our organic Cayenne Pepper. You may know that kale is better for you cooked, versus raw, along with a variety of other cruciferous veggies containing isothiocyanates. 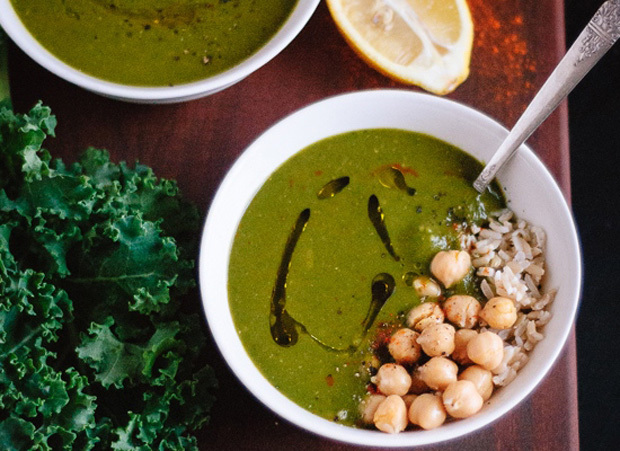 If you’re a fan of kale, then you’ll enjoy this deliciously restorative green soup recipe from Kate of the Cookie and Kate blog. It’s vegan and gluten free, and made from greens of kale or chard and spinach or baby greens, caramelized onions, arborio rice, and seasoned with lemon and cayenne pepper. Click on image for the recipe!